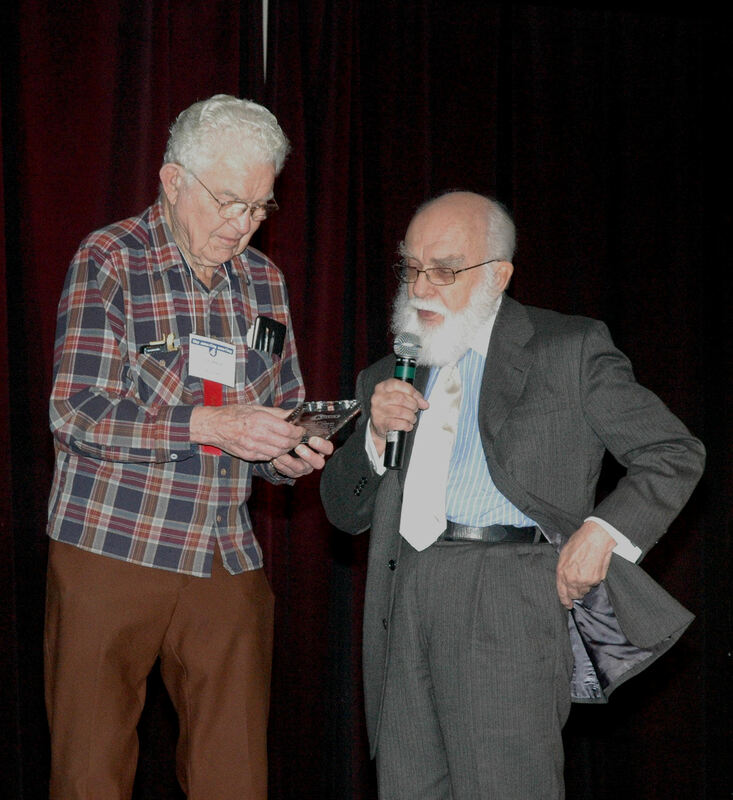 If you ever have been lucky enough to attend TAM (The Amazing Meeting) you might have met the intelligent and friendly Jerry Andrus. I can’t even begin to describe what a delight he was to see each year he attended TAM and set up his table of wonder. There is really no other way to describe it. I’ve seen people of all ages enchanted, laughing and learning as Jerry, with never ending enthusiasm, would show off his illusions. 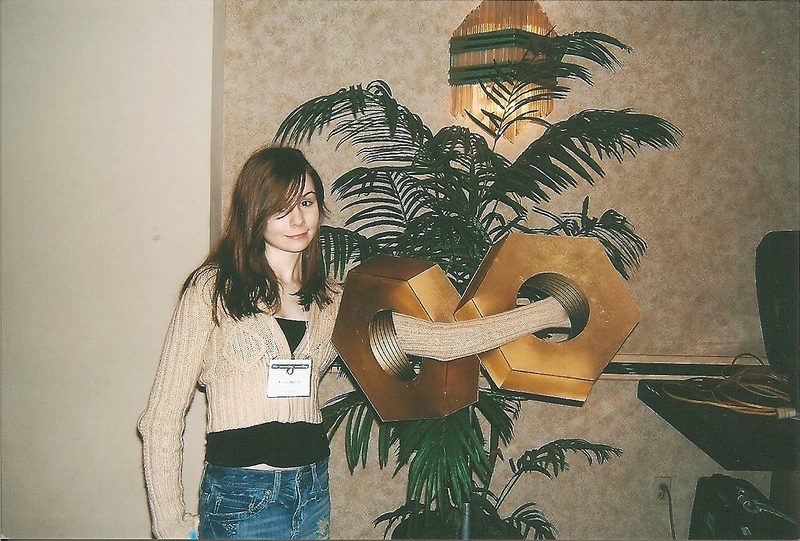 I know there must be thousands of people with photographs of themselves putting their hand through the giant nut illusion Jerry had set up at his table. Attending a conference with “big name” speakers and a large group of attendees can be intimidating, I would always assure new comers that were afraid of meeting people, “Go to talk to Jerry Andrus”. Jerry would never wait for you to introduce yourself, if he saw you were looking at his table he would jump right up and start talking to you. He was such a kind man. I have never even heard a hint of anyone not simply loving him. He had a gift for putting anyone immediately at ease. My daughter appears in a wonderful documentary about Jerry. I highly recommend the documentary as he lived a life filled with friendship and curiosity. His home alone makes the documentary well worth viewing. The house is filled with an amazing amount of what we might call clutter, but Jerry knew where everything was and what it was. His home seemed to be a physical representation of what was going on in his mind. Jerry had an incredible variety of interests and talents. He was curious about everything, and also wanted to share that curiosity with everyone he met at TAM. He inspired everyone. When he died, I knew TAM would not be the same. In remembrance, each year TAM has a table dedicated to Jerry and his illusions. I think every member of my family has a photograph of us with Jerry’s illusions at TAM. However, what is even better is we have our memories of meeting this remarkable man. Thanks for posting this article. I always enjoy hearing people’s stories about Jerry Andrus. 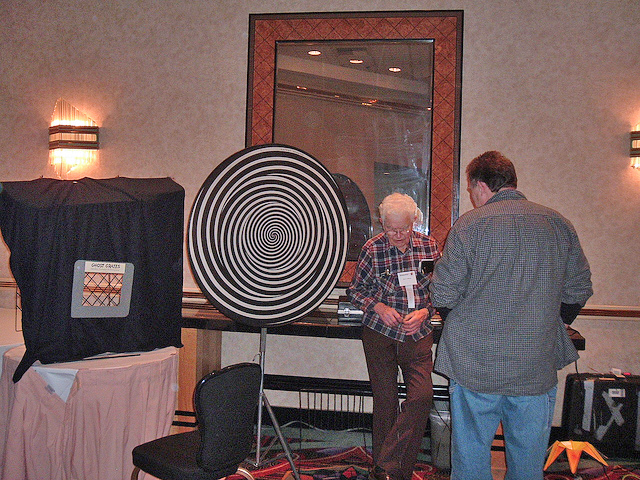 In 2011 and 2012 I ran the Jerry Andrus tribute table at TAM with reproductions of all his optical illusions that I built. I also collect Jerry’s memorabilia and early works. One day I would love to own one of his original hand-made optical illusions.